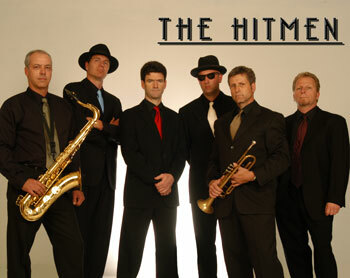 Formed in 2000, The Hitmen are one of Vancouver’s most unique musical acts. Playing hits from the 50’s to the present, The Hitmen will apply their vast knowledge of pop music to your special event and truly make it a night to remember. With their strong musicianship, soaring vocal harmonies and playful sense of humour, the band will entertain you , rock you, and generally make you wanna move ‘n’ groove! When you watch the Hitmen in action live onstage, you will be amazed at their killer musicianship and audience rapport. Just a quick glance at their massive song list will tell you that The Hitmen are capable of just about any style of music. Browse through our photo gallery from recent shows to get a sense of the band's "runway-ready" good looks. One listen to the ultimate demo recording and you will be convinced. Noteable Entertainment & Events is a Vancouver based booking agency, party rental, entertainment services and event production company. If you are interested in booking The Hitmen please contact us.